I have been trying to write this post for a long time now but it has aways been a struggle to get the words out. Thinking back to that time just feels me with sadness, so I have kept this brief and am now ready to share my story. In January 2013 was when I got to see those two lines pop up. We were pregnant. I cannot tell you how excited we were because we had only just started trying. Never once did miscarriage cross my mind, which thinking back I shouldn’t have been so naive because sometimes it doesn’t always turn out right. On the 11th March 2013, the day after Mother’s Day, we had our 12-week scan. We went into the room so happy and thinking about the future, but as soon as the woman started scanning me, I knew something was wrong. It did not help that she kept asking me ‘Are you sure you have your dates right? She then went to get someone else to take a second look before we were whisked into another room. Eventually, with what seemed like forever, we were told that the baby had not grown and I will be in fact miscarrying in the next week or so. 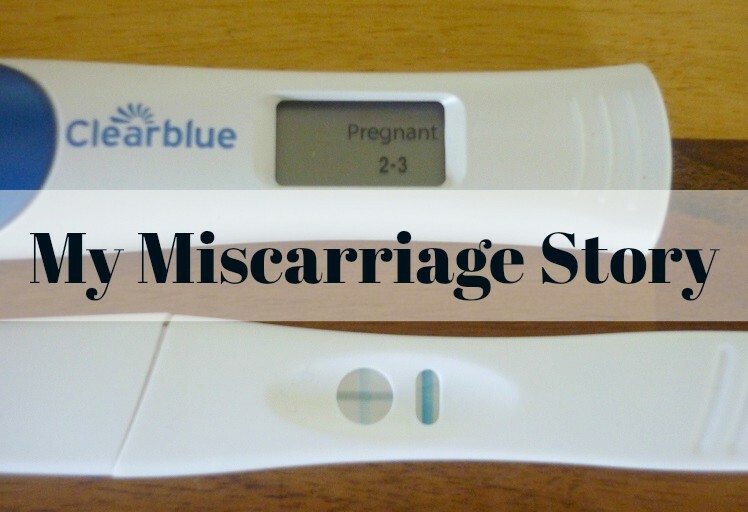 It was explained to me as a ‘Missed Miscarriage’ because my body had kept thinking there was nothing wrong when in fact I should have miscarried before the 12-week scan. April 2nd 2013 was when I finally miscarried, a day I will never forget. It hit me really hard, I’m not going to lie. I was pregnant, then I wasn’t and only a handful of people knew. I threw myself into as many things as possible, work, cheerleading, wedding planning, but that longing for what was now gone was still there. I took it a day at a time, then those days turned into weeks, then into months and it got easier. Now I have two girls, Mabel born in October 2014 who is our Rainbow baby, and Martha born in February 2016. I hope that by sharing my story may encourage other people to share theirs and always remember that you are not alone. Back To Preschool We Go. An Update On Where I Have Been.